With its towering mountains and beautiful campsites, Arizona is known to be a hiker’s utopia. 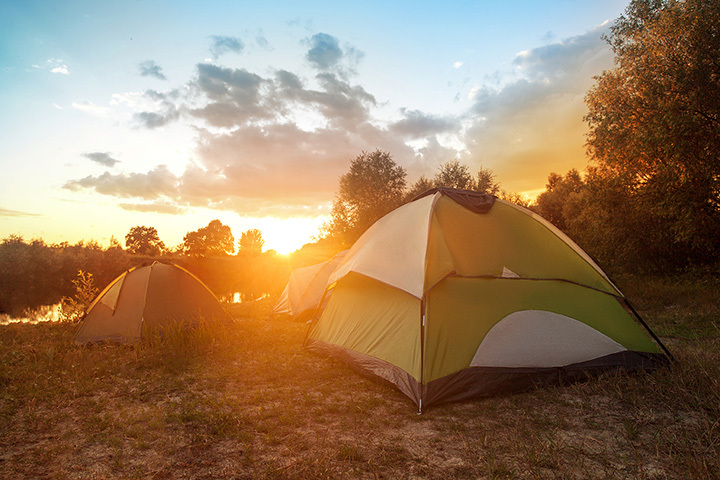 Let us look into the top 15 spots to camp in the state of Arizona. Lockett Meadow is located 7,000 feet high on top of the San Francisco Peaks and is a beloved camping ground for hikers. The grassy meadow and diverse wildlife are added attractions. Set in Tucson, the Catalina State Park in the Sonoran Desert is among the state’s best known camping grounds. Check out the hiking trails and craggy rocks along the Santa Catalina Mountains. Located in the Grand Canyon National Park, this campsite offers a marvelous view of the Colorado River. You can also indulge in the many adventure sports activities such as river rafting and bungee jumping. The Camino El Diablo is perhaps the only uninterrupted stretch of wilderness along southern Arizona in the U.S., and though there are no official camping sites here, hikers are allowed to set up camp along the highway. The shady and huge campsite of East Rim Overlook is set very near to the Marble Canyons. A major attraction spot for bird watchers, this place is often frequented by hawks, falcons, and bald eagles. The Marble Canyon is a majestic chasm that ultimately falls into the Grand Canyon. Enjoy the magnificent scenery, wildlife (bison, mountain lion if you’re lucky or unlucky!) and complete isolation from the urban life. Set near the Colorado River, Lees Ferry is an ideal camp site for hikers to rest after a trip down to the Grand Canyon. You can get glimpses of the Colorado River and Vermillion Cliffs from here as well. Woods Canyon is a small and peaceful mountain lake set on the edge of the Mogollon Rim. The spacious and shady campground is surrounded by pine trees and the cool lake perfect to beat the Arizona summers. Set in the Sierra Ancha Wilderness, Lake Roosevelt is the perfect camping spot offering the steepest canyons for adventurers and professional hikers. Among the lesser known camping sites of Arizona, the Workman Creek set in the Sierra Ancha is clear water stream running along the beautiful pine forests. Set northwest of the Joshua Forest, Burro Creek is near to the mining grounds of Big Sandy River. The place is usually frequented by miners or and geologists. This campground is famous for its opals, agate, and apache tears. Set in Lake Mead, the Temple Bar is a desert lake where camp dwellers can enjoy the cool springs and other water sports such as boating, swimming, jet skiing, and sailing. Considered to be among the top locations for spotting bald eagles, coyotes, herons, and more the Alamo Lake State Park offers excellent camping facilities to hikers. The spacious Hannagan Meadow is the perfect campground set in the White Mountains of Eastern Arizona. Set in the thick pine groves, this shaded place is also frequented by wild animals such as elk, deer, wild turkeys, and bears. The panoramic view is sensational. Set in the Gila Box Riparian National Conservative Area, the Bonita Creek harbors breath-taking collection of sycamores and cottonwood along the banks of the San Francisco River and fountains.